When I was looking for some new ideas for the bed design in our master, I found this really pretty neutral space that has a very "boho chic" kind of look. 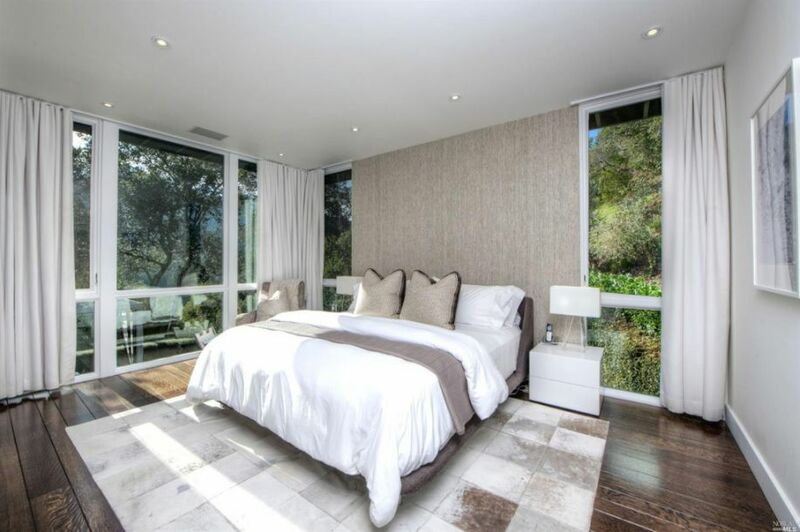 I had never considered that and tend to prefer bedroom design ideas that lean a bit more tradition, but I was just enthralled by the serene zen vibe and cool detailing that makes this space special. I think that the bed (or course) is the single piece that ties the whole design together. 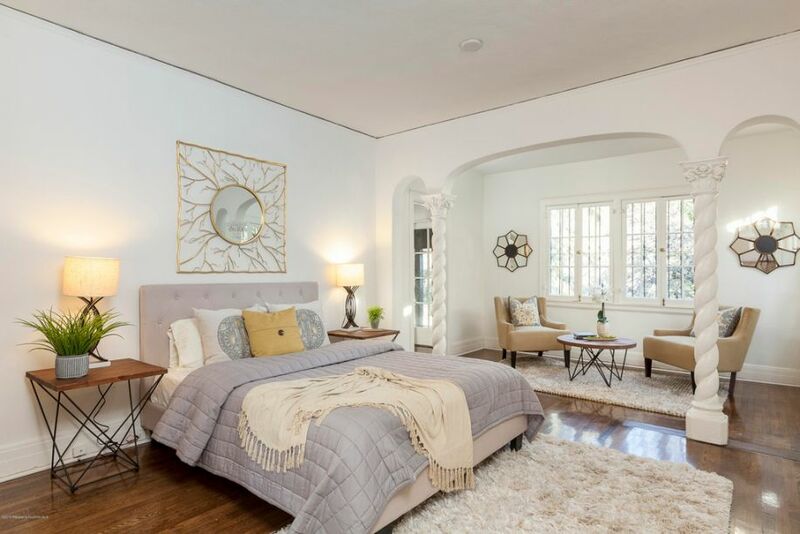 I love how the rest of the space is finished in all white or other neutral shades, allowing the dusty purple bed to really take center stage in the design. These details combined with the earthy accents and pretty gold pieces make for a fantastic look, and one that I think I would like to recreate in my own beautiful bedrooms. When designing a master, I have always considered the bed design to be the most important element of the room. Obviously it is where you will spend the most time in these rooms, but also because their large size tends to be the focal point and distract from all other bedroom decoration. Check out this room, for example, there are a ton of fantastic architectural details such as the original fireplace, gorgeous panelling, skylights, and large wall of windows. 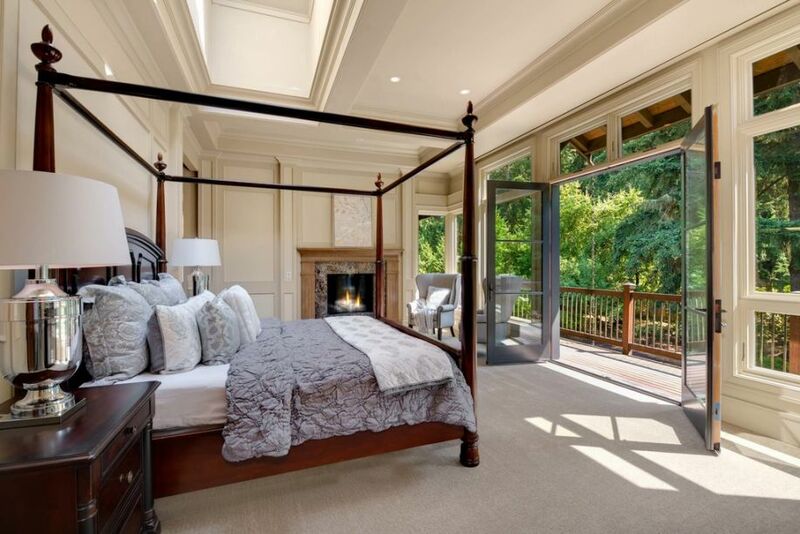 However, when you look at these photos the first and primary thing that you see is the large cherry canopy bed, while the rest of the bedroom design fades into the background. This has been one of my favorite master bedroom projects because of the unique mixture of modern and rustic styles that we used from the bed design to the architectural accents and everything in between. 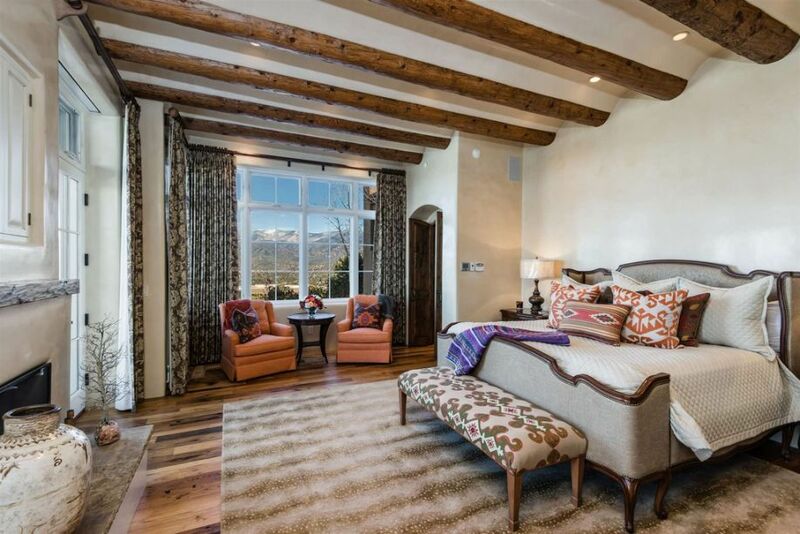 This particular client was very into master bedroom designs that had a very masculine edge and that featured unexpected accents like this log beam we installed at the top of the vaulted ceiling. Because we had these bolder and more aloof elements we wanted to make the bed design a bit softer and more welcoming. 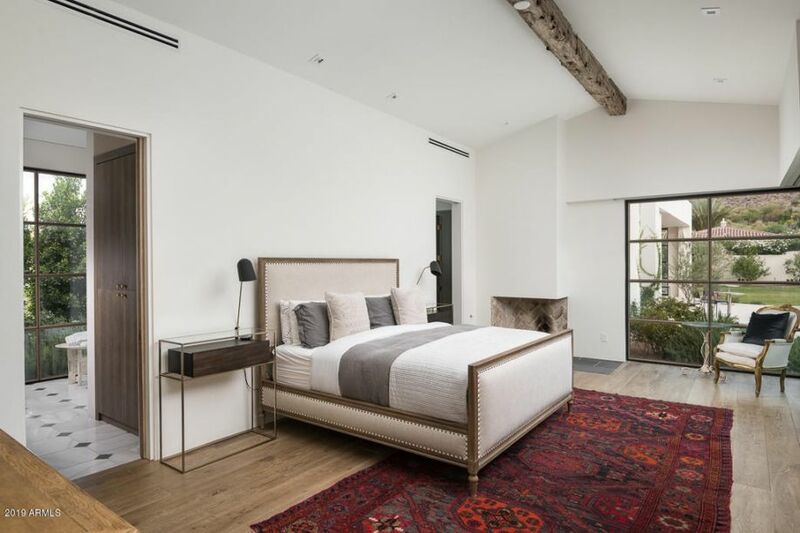 This simple upholstered bed from Restoration Hardware was the perfect piece to tie together all of the room decor ideas we had already chosen and to give us that touch of femininity that the space needed to balance it out. Bed design is the foundation of any master suite because it is, of course, the focal point of the space. In my opinion, bedroom interior design should orbit around the bed because it is the primary reason you created the space in the first place. I oftentimes like to pick out an inspiration piece (a throw pillow or swatch of fabric) that I want to use on the bed in some capacity, then use that to develop the color palette and design theme throughout the rest of the space. In this particular rustic Western style space, the gorgeous woven throw pillows were the starting point for the rest of the bedroom decor ideas that we used. I love how this fairly simple bed design manages to anchor the entire room. When working with a small bedroom design like this, I always like to stick to a very simple and monochromatic color palette in order to keep the space looking as bright and open as possible. We were lucky enough to have all of these floor to ceiling windows throughout, so it definitely gives the illusion that the room is larger than it is. We decided to make the crew outside the focal point, and keep the modern bedroom ideas we used inside all very neutral and subtle. 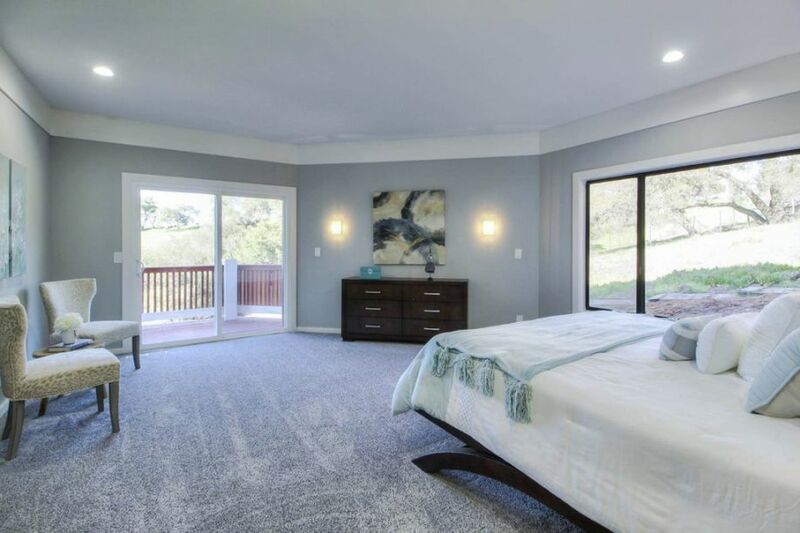 The basketweave wall is the primary decorative accent in the space and then the bedding and area rug simply branch off of that. When I set out to finish up our master suite, I decided that I wanted to focus on the bed design first. As you can see our room decor is quite sparse (virtually nonexistent) but I think that the space has great potential. With the large square footage, tons of natural light from the windows and great tall ceilings there is a lot to work with. At this point I just need a bedroom designer to help me figure out where to begin. I definitely want the be to be the focal point of the space (it is a bedroom after all) but I don't want the furniture or linens to be too "loud." I like serene and monochromatic color palettes, preferably in grey or blue. And I also love to tie in touches of nature to make a very organic design.